Sociodrama was used to create and direct this at the Applied Theatre Conference this weekend. There were two endings created and rehearsed. 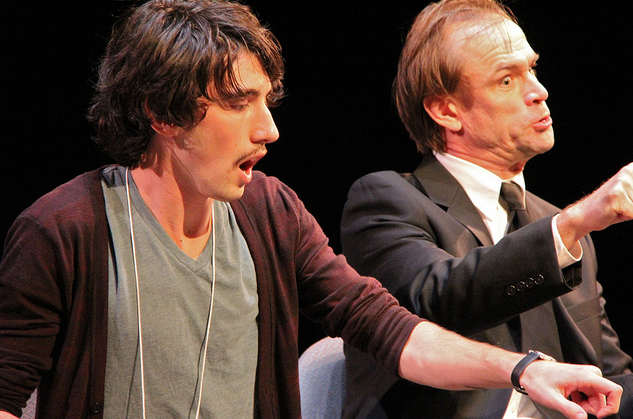 The enactor playing Jeff was instructed to make his decision between the two endings in the moment of reflection of the "voices" he heard at the mirror. Rights are granted to show this as a film and/or generate a script and perform it. 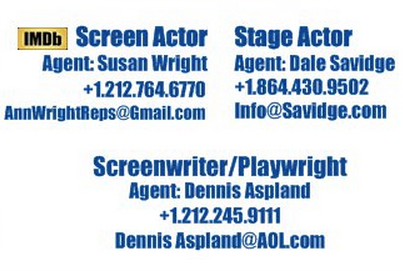 If it is used for commercial purposes, please send 5% of any gross income to the Applied Theatre Center. 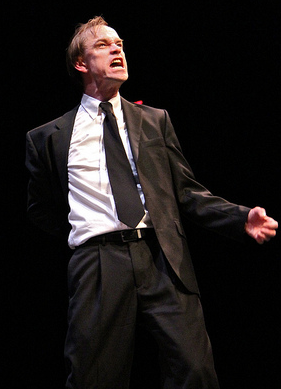 Last night I performed Beyond the Chariots at North Greenville University in South Carolina. I'm performing again tonight, and I was office-ing in one of two box offices. I had to send several students to the right one to get tickets for tonight, so hopefully we'll have a good crowd. I got to perform in a sketch on Sunday that was written and directed by Natasha Dormeus. Some dialogue was created through improv with me and the other actors: Ava P., Rachel Taylor, Jan Miele, Andrew Kelly and Claude Chew. This sketch is available for download on iTunes, where you can also subscribe to our podcast. Search for "Westchester Chapel" on the iTunes Store. 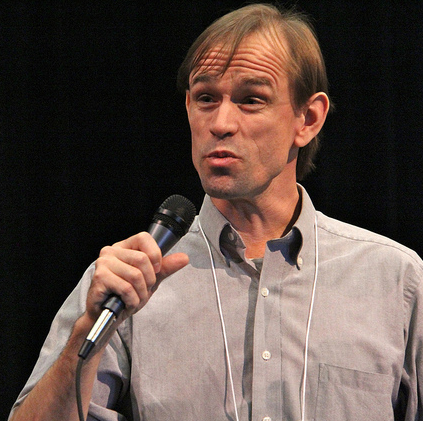 I'll be presenting with Graceworks tomorrow at an economic summit near Princeton, NJ: The Princeton Packet report. I was listening to Alberto and Kimberly Rivera's song "Wings" today. It paints an incredible picture of the Love of God overcoming pain and bringing healing. My call to worship this morning at Westchester Chapel was setting up Pastor Linda Warren's sermon Christ's Passion to Be with Us. This call to worship is available for download on iTunes, where you can also subscribe to our podcast. Search for "Westchester Chapel" on the iTunes Store. Pastor Linda Warren preaches on John 14:1-7. One of her illustrations is how excited I was to see Joyce at our wedding 13 years ago this month. Closing by Pastor Joyce Swingle with Mike Hood on keyboard playing "This is My Story" by Phoebe P. Knapp (public domain). This sermon is available for download on iTunes, where you can also subscribe to our podcast. 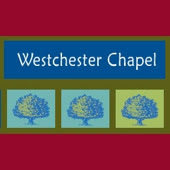 Search for "Westchester Chapel" on the iTunes Store. Joyce preached on John 13:1-27. She was preceded by an excerpt from Paradise Lost, which you can watch here. She refers to The Reason for God by Tim Keller, which is available on our Book Store under Recommendations, or by clicking here. The closing comments are by Bill Huisman, and the closing prayer is by Pastor Randy Solomon. This sermon is available for download on iTunes, where you can also subscribe to our podcast. Search for "Joyce Swingle" on the iTunes Store. Terry Ewell, former principle bassoonist for the Hong Kong Philharmonic, came up from Baltimore, where he teaches bassoon at Towson University, to stage and rehearse his new composition based on Paradise Lost. 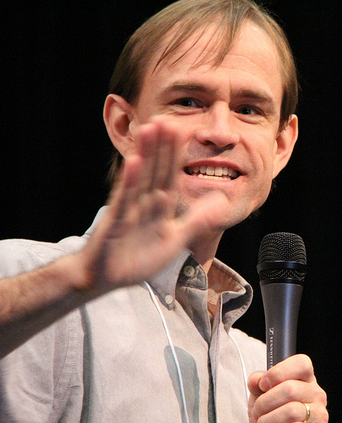 I'll perform the role of narrator in our performance at the International Double Reed Conference in Tempe, AZ, in May, and we shared the introduction of the epic poem and Adam during the service at our church, Westchester Chapel, on Sunday. For closed captioning, which can be translated into a number of different languages, click here to be taken to the clip on YouTube. This video is available for download on iTunes, where you can also subscribe to our podcast. Search for "Rich and Joyce Swingle" on the iTunes Store. We just watched Flywheel, the first film by Sherwood Pictures, who later produced Facing the Giants, Fireproof, and their upcoming film, Courageous. Flywheel was just meant to be shown in a local theatre in the neighborhood of Sherwood Baptist, the church that produced it for $20,000. Their investment paid off within a few weeks just from showings at that one theatre. I watched it for two reasons: to see what their first production looked like, and because a good friend said it moved him. It moved me, too! My dad with his TR3. It revolves around a used car salesman, who overcharges his customers until he comes face to face with who he's become. The flywheel of a Triumph TR3, has broken, as has the protagonist's center. Once he brings that into balance he sees miracle after miracle, many of which were based on actual miracles the filmmakers experienced. The philosophy of Sherwood Pictures is to ask God for his ideas, for his discernment for who to have involved, to make sure their main motive is to please the Lord, and allow Him to bring the fruit. Seems to be working so far. Our friends from MasterWorks, Caroline Chehade and Jennifer Jackson (both pictured in the still shot that precedes the video), are both featured in this CNN report. 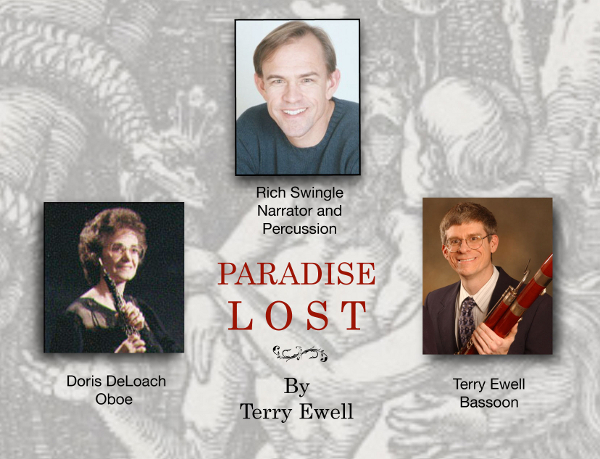 Terry Ewell, former Principal Bassoon of the Hong Kong Philharmonic, and I will be sharing an excerpt from Terry's new work based on Paradise Lost this Sunday at 11am at our church, Westchester Chapel. I'm very excited to announce our theatre staff lineup for this summer at The MasterWorks Festival. 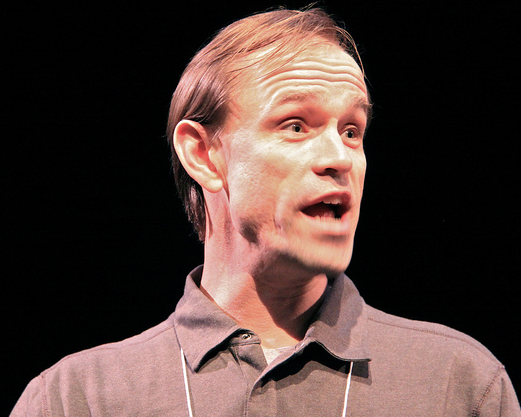 Curt Cloninger, who gave the very first one-man play I'd ever seen, inspiring me to make a 15 year career of it, will be sharing his play Witnesses on June 27 for the Festival and community. I got to see the play last summer, and it's phenomenal. It introduces us to people who knew Jesus first hand: witnesses of his walk on earth. 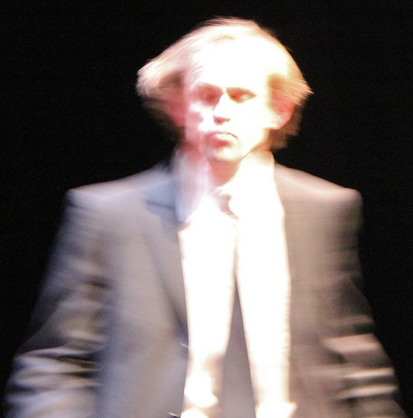 Curt has taken his plays around the world and performed them for live audiences as large as 40,000. Now he's getting into television work, performing in the Korean sitcom pilot Chin Chens. Casting director, Bev Holloway, will return for her fourth straight year. She's worked on over 30 projects, including Like Dandelion Dust with Barry Pepper (nominated for the Emmy, Golden Globe and Screen Actors Guild awards) and Oscar winner Mira Sorvino. She just returned from Thailand, casting the upcoming film Trade of Innocents in which Sorvino will also perform. Colin Harbinson, forty-year veteran of the arts, eduction and mission, is the creator of the internationally performed musical Toymaker and Son. Patricia Mauceri will return for her seventh straight season. She's performed alongside Johnny Depp, Christopher Plummer, Richard Dreyfuss, James Earl Jones and many other luminaries on Broadway, film and television. Susan Sommerville Brown, also back for her seventh season, performed in CATS on Broadway and in the Chicago area for decades. She's building her credits now as a musical director of shows like CATS, State Fair, Dreamgirls, Little Women, Mulan Jr., Grease and Evita. This is the Festival's 15th anniversary, and reunion plans are in the works! In that vein, we're featuring two alumni, who recently earned their masters degrees: Chad Rasor will serve as fight choreographer for our play, Cyrano de Bergerac, by Edmond Rostand, and Brandon Langeland will teach improv classes culminating in a highlight of the Festival every year, our theatre improv night which segues into improvised worship and enacted prayer. 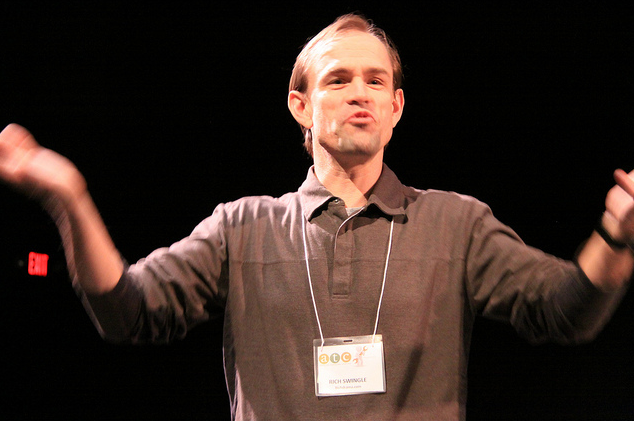 All our instructors impart not only their expertise and wisdom in acting for stage and film, but they also share their testimonies as followers of Christ. 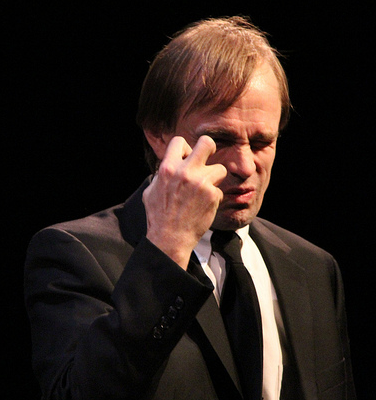 For a list of theatre master classes, all open to the public and free, visit itinerary.richdrama.com. 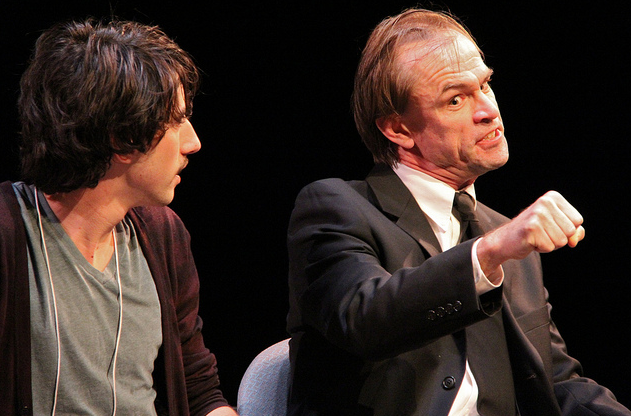 For a report from last year's program, visit RichDrama.com/MWF. MasterWorks (RichDrama.com/MWF) alumnus Patrick Moynihan and his friend Jon Schwarz were in New York, and took a moment to answer some of my questions about their school, Augustine College (http://AugustineCollege.org) a one-year program preparing Christians to enter secular universities without having their faith shaken.